Welcome to Nola Amusements LLC !!! 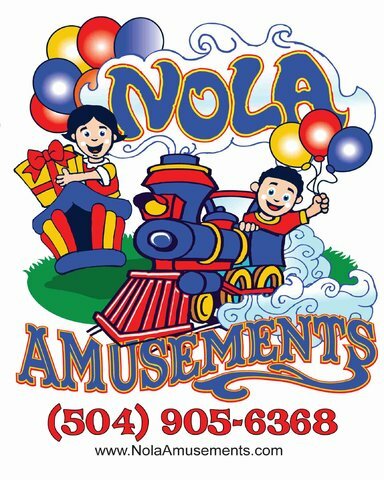 The largest Amusements ride provider in the New Orleans area.Our Amusements will fit perfect for your child's next birthday party ! We get great reviews form school,Fairs,Church functions,and festival.Our amusements are great for just a day at the park.We service the Metro area.New Orleans Metairie, Chalmette ,Gretna,Harvey ,Marrero ,West wego,and ect. Nola Amusements is always adding new and exciting rides,inflatables,concessions,and more.We always updating and thoroughly inspect all of mechanical rides to ensure the up most safety for our clients. Nola Amusements is always adding new and exciting attractions.We update and thoroughly inspect all of our mechanical rides to ensure the upmost safty for our little one's and clients . WE ARE LICENSE AND INSURED !! !